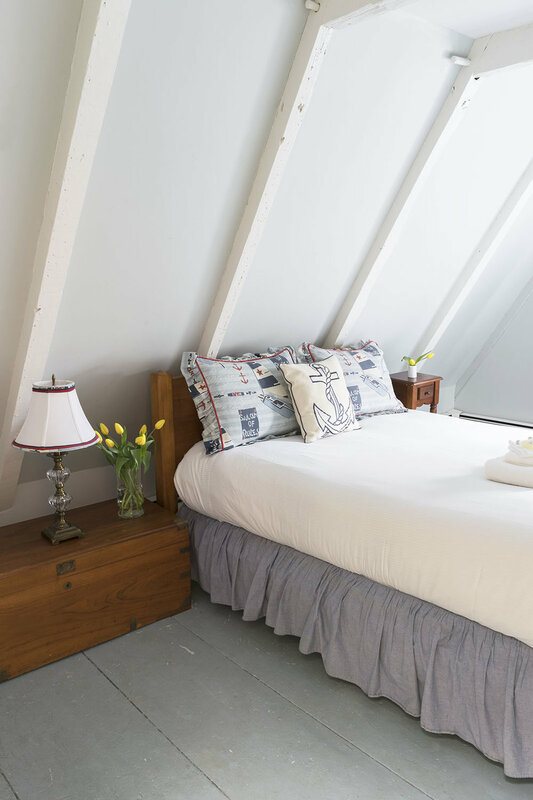 Each guest room is different, and we know you'll find them fascinating. All share a combination of handmade and antique furnishings. 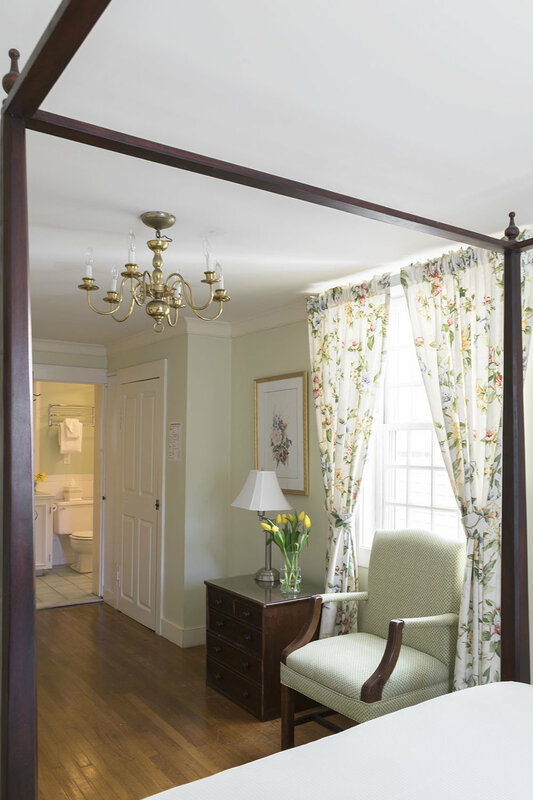 There are Shaker-style four poster beds, painted armoires with gaily colored stenciling, imported English antiques, and pieces with an element of surprise. 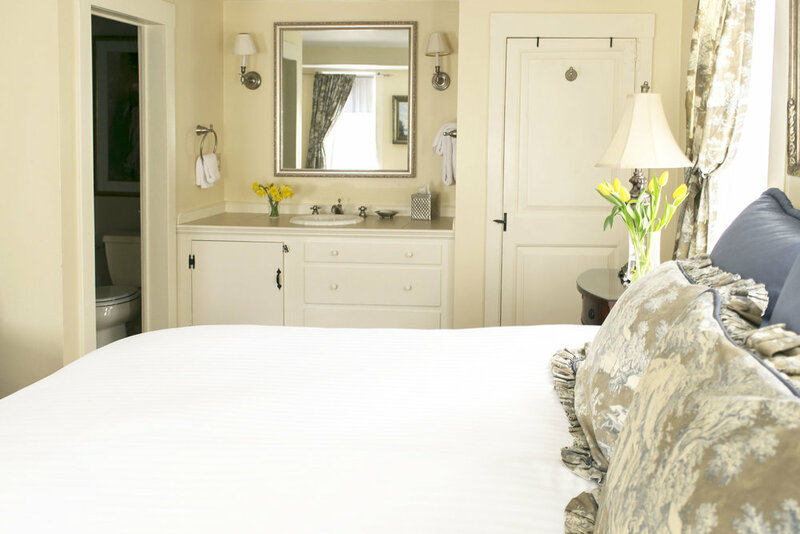 Twelve-over-twelve paned windows and authentic colonial cove moldings give no hint of the modern conveniences added to make your stay more comfortable. A complimentary full breakfast is served in the keeping room. On rising, you'll find it spread upon the banquet board. Outside our door, Newport's charms surround. Our famed harbor, historic sites, mansions, shops, dining, and night life are all just a walk away. There is no better street in all the town to tell the tale of Newport than Clarke street. During the Revolution, General Rochambeau, head of French forces assisting General Washington, housed two of his aides-de-camp in our Colonial Inn. Here Governors, merchants and mariners lived side by side. Receive updates on our latest specials, packages and more!